SKU: ET1710. 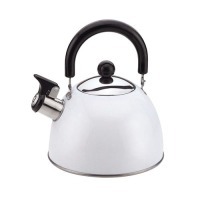 Categories: Appliance, Tea Kettle. 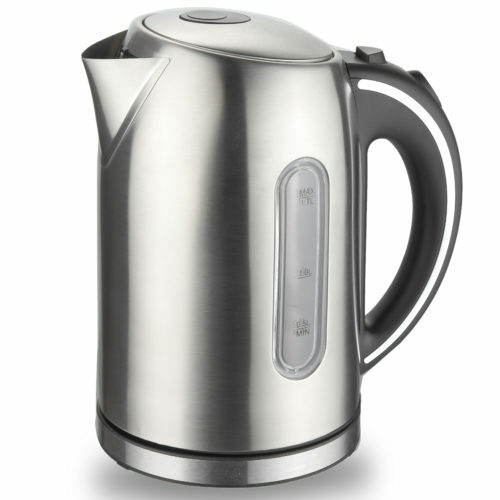 This electric kettle can boil water faster than a microwave, and is safer to use than a stovetop kettle because it automatically turns off when the water reaches a boil. The modern soft blue illumination in the glass kettle along with a brushed, stainless steel base is compact, space-saving and looks great on the kitchen counter. 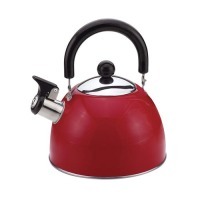 Serving at the table is no problem as the kettle lifts right off the 360-degree rotating base without the cord. 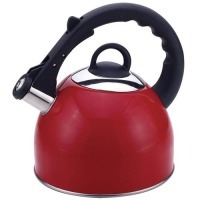 The powerful rapid-boil system provides fast heating from any standard outlet and the auto shut-off function helps keep the kettle from boiling dry. 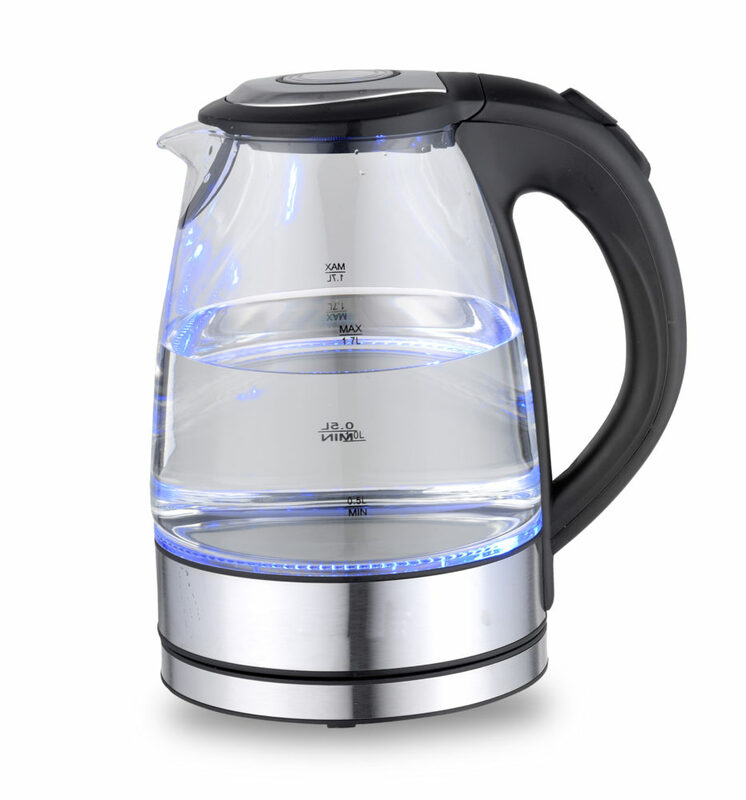 1.7 Liter Glass Kettle features a stay-cool handle, push-button lid and easy-pour spout that make filling and serving easy. A cord wrap is under the base for space-saving storage when not in use.